The Wieliczka Salt Mine and the Auschwitz-Birkenau Museum are the most visited places outside Krakow, especially by foreign tourists. These places are unique and we encourage you to visit them, but we would also like to suggest places that are equally interesting but less crowded by visitors. Romantic chapel of St. Joseph Craftsman located in Ojcowski National Park, located over the stream on concrete supports, gives the impression of levitation over the water. Legend has it that it was a way to bypass the ban of czar Nicholas II to build on „fatherland”. The picturesque Renaissance-style castle, with beautiful gardens and courtyards, located on a cliff along the road leading to Ojcow is definitely one of the most beautiful objects of the Ojcowski National Park but also of the Krakow surrounding areas. The castle was first mentioned at the beginning of the 14th century. 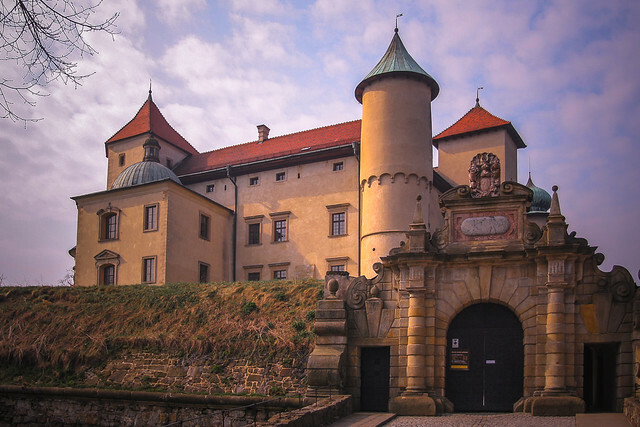 The castle was part of the fortifications located in the Pradnik Valley, which was supposed to protect the road leading from Krakow to Silesia. The building at the present site was built by Kazimierz the Great and later changed owners until the present times. Its present shape we mainly owe its renovation in the renaissance style by Stanisław Shafrider in the 16th century. Today, a branch of the Wawel Royal Castle is located here. This is a place to come to for at least a moment. The castle, and more precisely, the well-preserved ruins of the castle, is another element of the fortification from the reign of Kazimierz the Great, which was located in the Pradnik Valley. The castle fulfilled its function for centuries, up to the time after the Third Partition of Poland, when it started to fell into ruin. Despite some renovation attempts, it was not successful. You can now admire the well-preserved tower and castle gate. 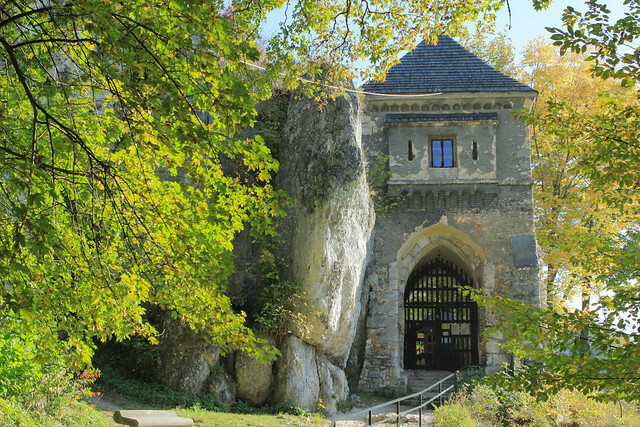 The Krakow Gate is formed from calcareous rocks of Jurassic origin. Rock blocks about fifteen meters high flank the old trade route from Silesia to Krakow and hence the name of the rock. The 25m high rock cudgel is made of hard limestones, created by the karst activity of the waters. It is a characteristic and famous element of the Ojcowski National Park. 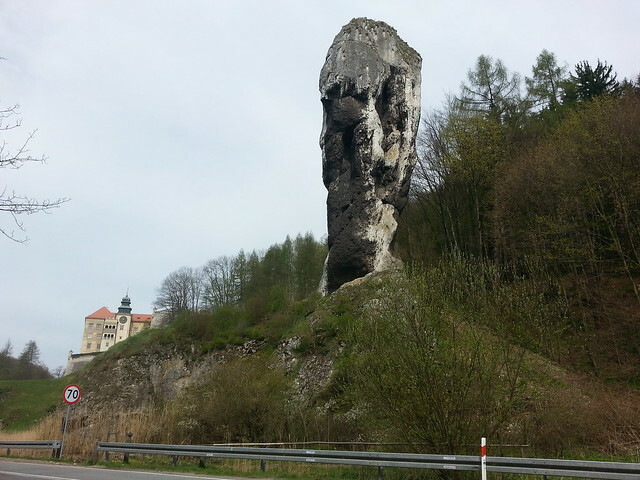 The rock is located in the Pieskowa Rock near the Castle. Historic wooden mill from the 15th century. A complex of buildings with the baroque church of the Assumption of Mary and blessed Salomea, prebendary, prayer houses and hermitage. 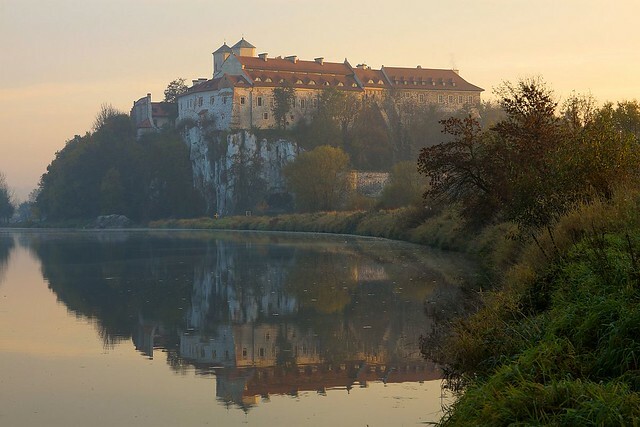 Forty kilometers from Krakow, south of Bochnia, there is a castle in Nowy Wiśnicz. This impressive building was built in the 14th century, by Piotr Kmita, as a Gothic fortress and magnates’ residence. The present shape and style is owed to the later owners – Lubomirscy family, who in the 16th century took over the castle and began to remodel it with great vigor. 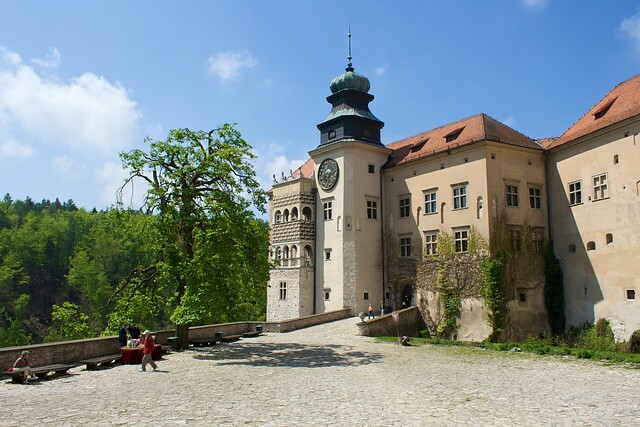 In the 17th century Castle in Wisnicz was considered one of the most famous in Europe. Under the direction of the architect Andrea Spezza, in the spirit of the early Baroque, bastions were made to match modern defense art, the main gate to the castle, the chapel, the loggia in the courtyard and the interiors with Jan Falconi’s decorations and murals by Mateusz Ingerman and Stanisław Kostecki. In the castle was located the famous library and a huge collection of art. Paintings by Rafael, Durer, Tycjan. Apart from the residence, the Lubomirscy founded a city at the bottom of the Nowy Wisnicz, and the Carmelite monastery, which now occupies a penitentiary. As a result of two tragic events – the capture of the castle by the Swedes during the Swedish Flood and the great fire of 1831, the castle lost its glory and fell into ruin. Thanks to maintenance work, the monumental building is impressive and the castle is one of the most interesting objects of its kind in Poland and is definitely worth a visit. The most famous and the most visited salt mine is located in Wieliczka, but 30 km further east in Bochnia, there is a mine with salt mining tradition dating back to the 13th century, which in the old days together with the mine in Wieliczka was part of the so called Zupy krakowskie. The oldest part of the mine from the Middle Ages is a part called „Stare Gory” (“Old Mountains”), which together with the part of „Nowe Gory” (“New Mountains”) created in that time a 300 meters deep mine employing up to 150 miners. In the 20th century mining was finished and the mine was transformed into a thriving tourist and spa resort with many attractions and tourist routes of varying difficulty up to 3km. In the mine, you can swim by boat in the underground corridors, rent accommodation in one of the largest chambers, take a 140 meters long slide or spend several hours in a microclimate treatment beneficial to people’s health, especially respiratory diseases. The Tyniec Abbey is situated on a limestone rock 15 km west of the Wawel Hill on the Vistula. It is estimated that it was founded almost 1,000 years ago at the behest of Kazimierz the Renovator. The main buildings of the abbey are the church of St. Peter and Paul and the monastery with the cloisters, which were undergoing major renovations in the second half of the 20th century. 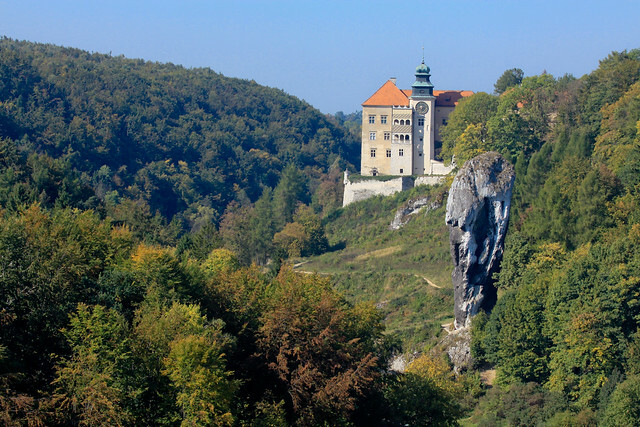 In the monastery are also the Abbey Museum in Tyniec and the Benedictine Institution of Culture, and in the immediate vicinity you can find picturesque hiking and cycling routes. You can get to the abbey by a water tram from Wawel Hill. In the picturesque village of Paczoltowice, situated 25 km from Krakow in the Krakow Hills Landscape Park, there is a golf club, which includes 18-holes golf course, 6-holes golf course and driving range. There is also a restaurant overlooking the surrounding countryside and golf courses. It is the largest complex of this type in southern Poland. On the western side of Krakow, in the Wolski Forest, on the hill overlooking ksiecia Jozefa street and the Vistula River, there is a relatively young castle and the villa Szyszko-Bohusz. Adolf Szyszko-Bohusz was a well-known architect of the pre-war period, leading conservation work on the Wawel since 1916, during which he among others discovered and reconstructed the rotunda of Saint Felix and Adaukt. This rotunda was reportedly an inspiration when designing a house called „Villa Baszta”, built in 1929. The castle in Przegorzaly was built by Germans during the war in the 1940s in the occupied area of ​​the architect’s villa, to which the head of the General district of Krakow, Otto von Wachter has moved in. The castle was supposed to be a Lutwaffe airman’s sanatorium. Today the building houses the Institute of European Studies of the Jagiellonian University and on the ground floor there is a restaurant with a viewing terrace on the scenic grounds of the Vistula River. The castle can be reached, for example, by bus number 409 from the Jubilat stop, which is located in the immediate vicinity of Lou Lou Apart Wawel.